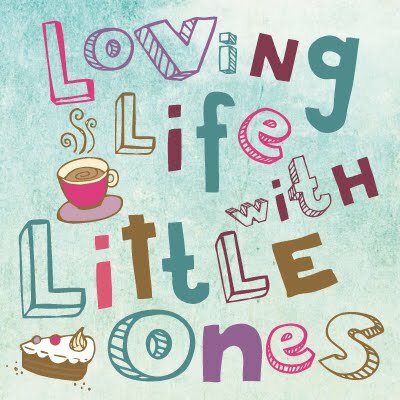 Loving Life with Little Ones: What the Little ones like to watch.. There are two particular times of day that the girls like to watch television, for half an hour after breakfast before it is time to go to school and around 4.30pm when they are tired and waiting for their tea. That said they do not watch tv everyday, they quite often start a game or carry on with the toys they set out the night before that we were asked to leave out for the morning. There is regularly drawing going on with all three Little Ones sat around the felt tips and sometimes homework or test practice too. When the television does go on, if it is Little 1's turn to choose what to watch she will usually choose Milkshake, cbeebies or cbbc and watch whatever comes on, and if it is Little 2's turn she will usually choose multiple episodes of her favourite programmes from the recorder box while Little 3 shouts out his requests of 'choo choots', 'Sam' or 'Pat' (Thomas and friends, Fireman Sam and Postman Pat) in the background which he sometimes watches with me before naptime or while I am sorting laundry. We were recently asked to see what we thought of 2 new dvds produced by Abbey Home Media, 'Peter Rabbit, the tale of the Great Rabbit and Squirrel Adventure' and the 'Milkshake- Fabulous Friends' dvd. Both of these dvds were eagerly awaited by the girls as they contain many of the Little Ones current favourite shows. Beatrix Potter fans will love the tales of fun, friendship and adventure with Peter Rabbit, Benjamin, Lily and friends, in this 5th Peter Rabbit dvd collection. Join hero Peter Rabbit as he tells a curious Cotton-tail how he and Squirrel Nutkin became friends and how Nutkin lost his tail. Soon Peter is off on an adventure to retrieve Nutkin's tail, even though it means going to Owl Island! Totally absorbed in Peter Rabbit! 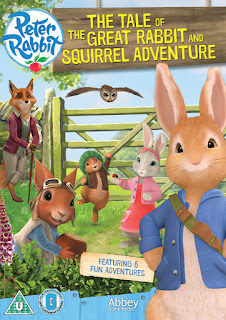 Little 2 loves Peter Rabbit, she watches it regularly and has some of the figurines and books too, she especially loved this dvd as she had only seen one of the episodes on it before and was intrigued to find out about Nutkin's tail and whether it would be found. Peter Rabbit- The tale of the Great Rabbit and Squirrel Adventure is over 70 minutes long and features 6 action-packed adventures. The Tale of the Rabbit and Squirrel Great Adventure, The Tale of Old Brown's Feather, The Tale of the Wiggly Worms, The Tale of Two Enemies, The Tale of Fierce Bad Rabbit and The Tale of Mr Tod's Trap. The dvd is out now, so what are you waiting for, hop to it!! The channel of choice in the morning, is mostly channel 5, as the Little Ones like to watch Milkshake! When I said we were getting a Milkshake dvd to watch the girls were pleased as Milkshake is only on in the morning and there have been a few moments when they have wanted to watch it after school, well now they can. 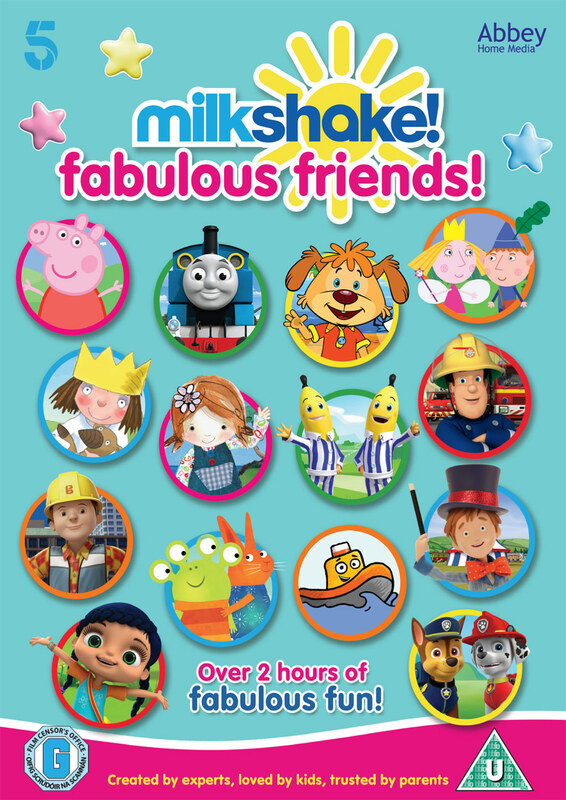 Little 2 loves to watch Paw Patrol, Peppa Pig and Ben and Holly while Little 3 loves Thomas and Friends and Fireman Sam as well as a bit of Paw Patrol on Milkshake. Little 3 is funny, as soon as a theme tune he recognises comes on then he dashes in to see what is on the tv. He was looking at me then Thomas started! 'Milkshake!- Fabulous Friends' dvd is out now and features two hours of entertainment in a compilation of the best children's shows from the long running Channel 5 show Milkshake, including some of the Little Ones favourites. Peppa Pig- The new car, Thomas and Friends- The Thomas Way, Pip Ahoy- Alan Loses his Bounce, Ben and Holly's Little Kingdom- Books, Fireman Sam- Jupiter in the Loose, Lily's Driftwood Bay- Stop That Pudding, Banana's in Pyjamas- Power Cut, Little Princess- I Want my Treehouse, Bob the Builder- Lofty lets Loose, Wanda and the Alien- Starfish, Toot the Tiny Tugboat- Toot's Funny Side, Toby's Travelling Circus- Ribbons and Strings, Wissper- Slow, Slow Loris, Paw Patrol- Pup Pup Boogie. What do your Little ones like to watch? N.B We were gifted these two dvds for the purpose of this review, however all opinions are our own honest thoughts.